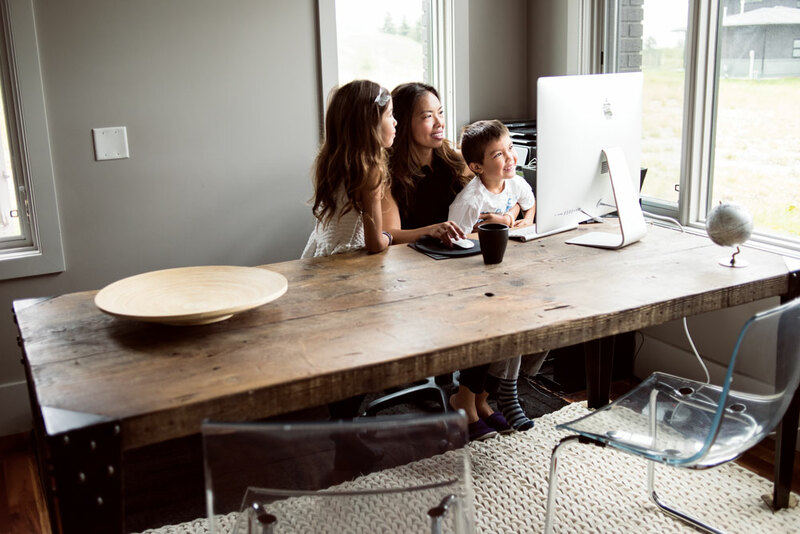 A busy young family puts a fresh spin on country living with their modern Elbow Valley home. 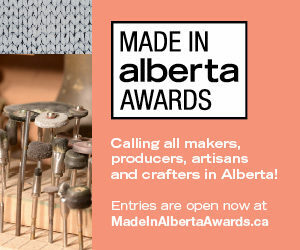 Large windows provide stunning views of the sprawling Alberta Foothills. Photography by Jared Sych. Eden Schell’s light-filled home could easily be mistaken for a rural oasis tucked deep within Alberta’s sprawling foothills, when, in fact, it’s only minutes from Calgary’s city limits. When initially deciding on where to build their home in 2007, Schell’s husband had his hopes set on an alpine dream home, nestled somewhere in the Rockies. Ultimately, with two children who were very young at the time, they needed to be close to the city and their families. A compromise was struck: they decided to build in Elbow Valley, where they would receive the best of both worlds. When the busy family of four isn’t travelling around the province for son Sawyer’s motocross competitions or daughter Autumn’s swimming and gymnastics, the Schells love spending time in their home, where they soak in the sprawling views of fields and mountains. With oversized windows that encompass the entirety of the home’s northwest side, the living room is easily the family’s favourite space to relax. Schell says the windows, in fact, were probably the best investment in the house. The family’s previous home “felt like a cave,” she says, and their top priority was to bring as much light as possible into their new home. Glass doors lead from the kitchen to the patio, with outdoor dining and living areas complete with a firepit and barbecue. Throughout the home, Schell has kept things simple in a style that is her own brand of minimalism. Citing mid-century modernism as her main source of inspiration, she manages to keep the clutter away while maintaining the feeling of a well-loved, lived-in home. 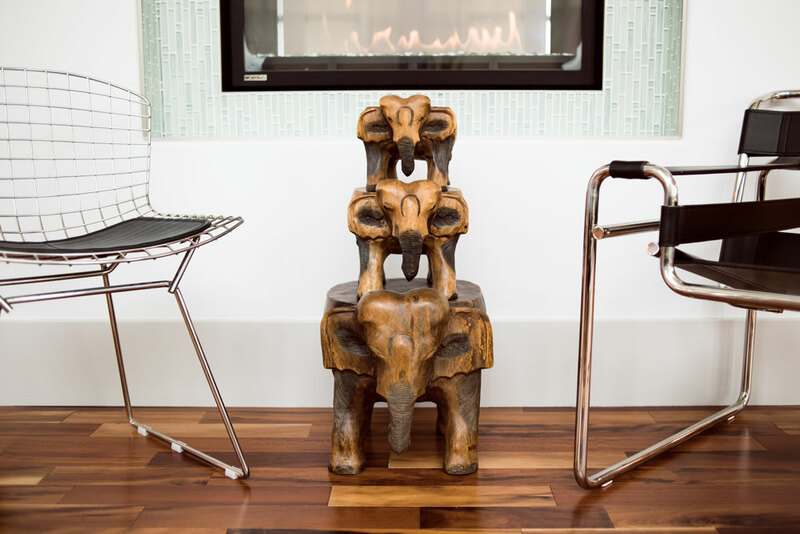 Design classics such as the moulded Eames chairs that flank the kitchen table are found throughout the home, although things get a bit more rustic in the home office with Schell’s large wooden desk – a HomeSense score she is intensely proud of. “You have to be very patient with home decor and design these days with so much inspiration at every corner,” Schell advises. “Be true to yourself and your personal style, otherwise you’ll be drawn in so many different directions – one minute you are mid-century modern and the next you are Hollywood glam. 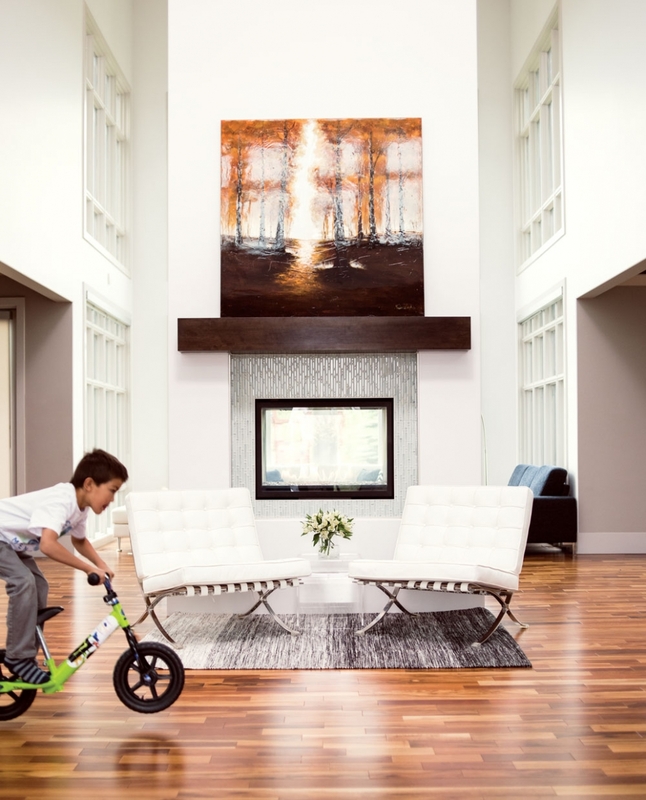 The entryway is a bright and welcoming space big enough for Schell’s BMX-loving son to pedal around in. Bright Eames chairs are stylish and practical for the family of four. This harvest table from HomeSense was one of Schell’s biggest scores. 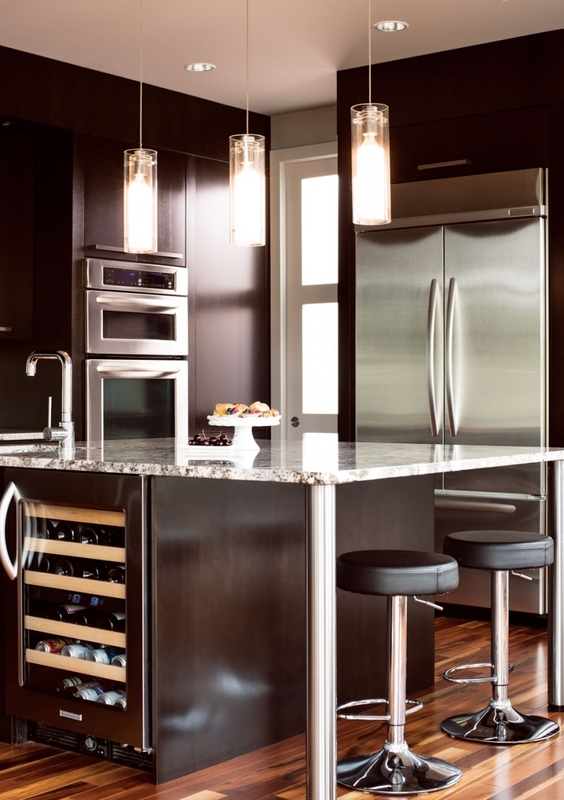 When the Schells built their home, they opted for a darker colour scheme in the kitchen, although it still manages to feel bright thanks to reflective surfaces and lots of light. Mix things up with woven blankets, faux fur and linen. Pick out a colour scheme, style and placement of furniture and accessories. Researching beforehand can save time and money. Online tools such as Pinterest or Instagram provide not only ideas but links to shops and even lower-cost alternatives. Purchasing everything all at once can lead to trendy decor that looks outdated very quickly. The best pieces of furniture, artwork and accessories are the ones with meaning behind them. Avoid purchasing everything from one store. It’s tempting, but you don’t want your home to be a replica of a store showroom. Mixing pieces from the big-box stores with vintage-shop scores and salvage finds will add personality to your home. A simple paint job on an existing item can add personality and even save some money. A little spray paint can go a long way! A good way to add flair to any home is by turning extraordinary non-furniture items into furniture or accessories. Invest in good-quality furniture pieces such as the dining room table or sofa. These items will typically stay in your home for the long term. It is not always in the budget to replace furniture, so best to purchase neutral tones. Save money on accessories such as throw pillows and vases. It is easier to replace these items and will allow you to change your decor every season, if you wish.